Your Excellency, Monsignor Apostolic Nuncio in Bosnia and Hercegovina, Your Excellency, Bishop of Alexandria de la Pallia, Reverend Father Provincial, dear Priests, dear Persons of Consecrated Life, dear Faithful of the Parish of Medjugorje, dear Pilgrims, Brothers and Sisters! The Lord speaks, “Woe to the shepherds who mislead and scatter the flock of my pasture”. The Holy Father, the Universal Shepherd of the Church, takes the words of the prophet as his own. He sends us there where people exist and live, there where the faithful gather together seeking the light of salvation. Today the Lord provides us with an incomparable example, and the role model of missionaries. When He disembarked and saw the vast crowd, His heart was moved with compassion for them, for they were like sheep without a shepherd. And He began to teach them many things. Pilgrims come to Medjugorje from far away regions, from approximately 80 countries of the world. The distance, the remoteness, represents the space measured by the kilometers we have passed. In order to pass these kilometers, we need to have a firm and decisive motivation as well as the means of transportation that are important to accomplish many journeys. But the word distance means something else as well. The word distance represents the existential situation of the many who have distanced themselves from God, from Christ, from the Church and from the Light which gives meaning to life, which directs it, and gives it a dignified goal, and is the life worthy of living. 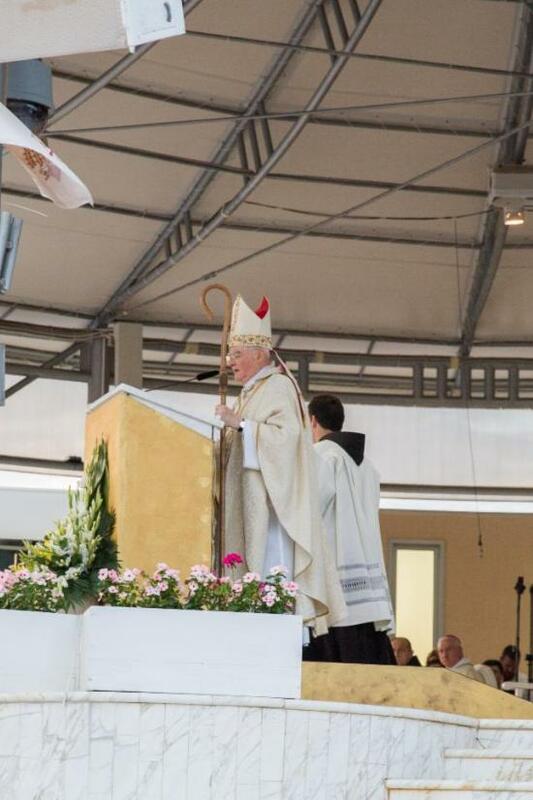 Now we can understand why they Holy Father has sent the Apostolic Visitor to Medjugorje. 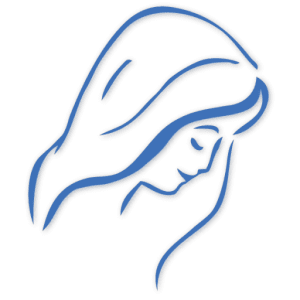 The pastoral care requires to ensure a stable and continuous accompaniment of the Parish Community of Medjugorje and of the Faithful who come here on pilgrimage. This mission equally concerns not only those who are far off but also those who are near. The latter with a double meaning. They are near because they have lived in this place and territory for generations. They are near because they are the Parishioners of Medjugorje. They are near also because for 37 years they have witnessed so many events in this region. In another meaning, near are all those who live an ardent and warm faith, and who desire to live in an intimate and grateful contact with the Risen and Merciful Lord. Let us now ask the fundamental question. Why do so many people come to Medjugorje every year? The clear answer is this: They come to meet someone. To meet God. To meet Christ. To meet His Mother. And then to discover the path that leads to the joy of living in the house of the Father and the Mother. And ultimately to discover the Marian Way as the safest one. This is the path of the Marian Devotion that has been taking place here for years. That is the Sacred Worship in which the culmination of Wisdom and the Summit of Faith come together, and which is therefore the primary task of God’s people. The Second Vatican Council strongly emphasizes that the various forms of devotion towards the Mother of God that the Church has approved, within the limits of wholesome and orthodox doctrine have developed in harmonious subordination to the worship of Christ and have gravitated towards this worship as to their natural and necessary point of reference. Besides this, it is useful to return to them, in order to remove doubts and especially to help the development of that devotion of the Blessed Virgin which in the Church is motivated by the Word of God, and practiced in the Spirit of Christ, as Paul the VI said in his “Marialis Cultus”. This is what the devotion of the people in Medjugorje looks like. In the center is the Holy Mass, Adoration of the Most Blessed Sacrament, the Sacrament of Reconciliation, and all of this followed by other forms of devotion, the Rosary and the Way of the Cross., which have turned what in the beginning used to be the sharp stones, turning them into a smooth path. Pilgrims take time off and dedicate their time to be able to sojourn in Medjugorje. In this regard, Pope John Paul II said, “Just as time can be marked by [ ] by special moments of grace, space too may by analogy bear the [ ] or particular saving actions of God. Moreover, this is an intuition present in all religions which not only have sacred times but also sacred spaces where they encounter where the Divine may be also experienced more intensely than it would be normally in the vastness of the cosmos. Medjugorje gives us both, the time and the space of God’s grace, through the intercession of the Blessed Virgin Mary, the Mother of God and the Mother of the Church, whom here we honor as the Queen of Peace. This title is well known from the Litany of Loreto. It is true, the world is in great need of peace, peace in one’s own heart, peace in the family, peace in society and international peace. Peace is desired by everybody, especially by the people of this country who suffered so much in the recent Balkan War. PS. You can watch the entire evening with the Archbishop in the Archive on our home page entitled: Papal Envoy. It has all the video we have recorded of Archbishop Hoser so far.